Mark Twain is best-known as an American novelist and humorist, but aside from his fans few recall that before Twain was a novelist he was a newspaperman for the San Francisco Dramatic Chronicle. Update: Actually, it turns out that many details in this post are wrong. The Guardian misreported the story, and I took them at their word. You can read the correct story here. My apologies. Researchers at UC Berkeley have recently uncovered a cache of stories written by Mark Twain when he was in San Francisco in his late 20s. Many of the stories are 150 years old, and they cover topics ranging from mining accidents to the San Francisco police. 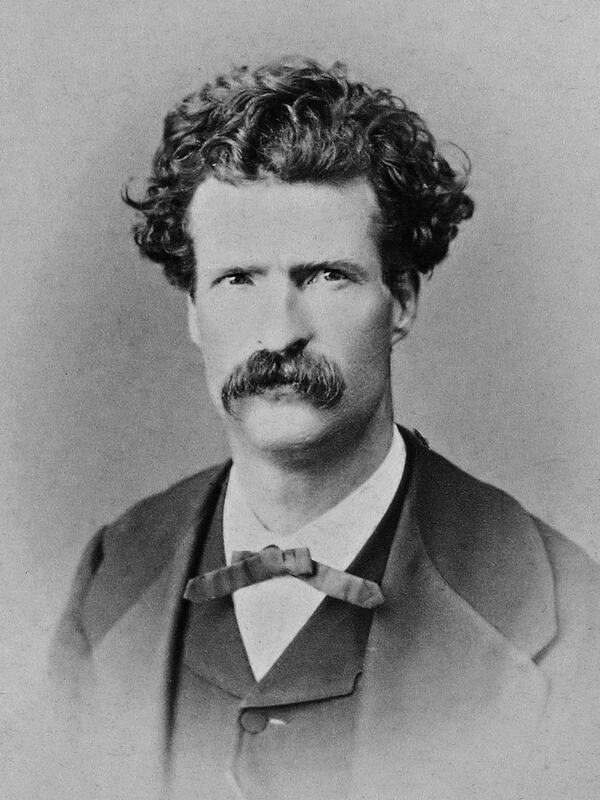 The works were unearthed by the Mark Twain Project at the Bancroft Library at UC Berkeley. Currently led by Robert H. Hirst, the Mark Twain Project has been working for past 50 years to collect and preserve Twain's published and unpublished works as well as his letters, journals, and various important collateral documents such as the diaries of Mark Twain's secretary. According to Hirst, the newly discovered works were written at a time before the famed author had decided what he wanted to do with his life, a time when he was grappling with indecision, in debt, and drinking a lot. If they are anything like the known works, we are in for a treat. His social commentaries on SF society are still pungent and sharp. "It’s really a crisis time for him," Hirst told The Guardian. "He’s going to be 30 on 30 November 1865, and for someone not to have chosen a career by that time in this period was quite unusual." In spite of his indecision, the articles are brilliant examples of Twain’s style, according to Hirst. "He knows the city, he’s a bohemian of a certain kind, he’s interested in what’s going on," Hirst said. "He simply weaves that all together with the greatest clarity and the greatest humor that you could possibly imagine." I've read some of the articles Twain wrote while in San Francisco; Project Gutenberg has an extensive collection. Hirst is not wrong. If you are at all fond of Twain's writings then you should add the new trove to your reading list. He probably hadn’t decided upon a career because writing has never been a secure career, nor has it paid well, historically or otherwise. Yet, it was obviously where he spent a lot of his time and as a newspaperman, he was at least able to dabble while getting paid for writing. I enjoy Twain a lot. I should read more of it.